Glaziers Hall is a unique conference and event venue in London Bridge, with unrivalled views of the River Thames and the City of London. Featuring the exposed Sir John Rennie’s London Bridge, our newly created space showcases three restored Georgian brick arches, a grade listed original York stone floor and bespoke wine cellar as a backdrop. Wow your guests in a choice of seven versatile event spaces. We work closely with your teams to create memorable occasions that will be stand-out events in your calendar. 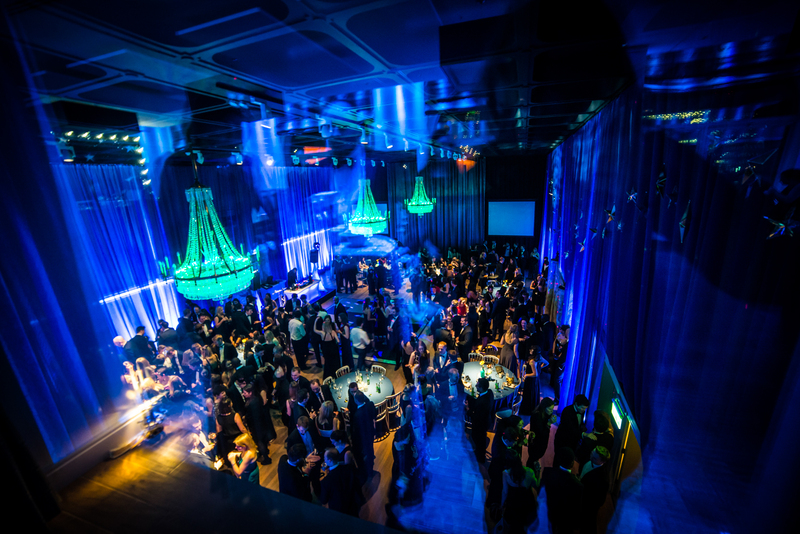 From conferences and exhibitions to pop-ups, private events, press launches and fashion shows. Our latest blog discusses bleisure travel, the practice of including a holiday on a business trip. Your guests’ satisfied palates are crucial to an excellent event so we only offer the best in a variety of catering options. You can work with one of our recommended caterers or opt for hand selected goods from local food merchants in neighbouring Borough Market. We ensure the highest quality refreshments for your event, without compromise. "Our CEO has asked me to personally make contact to say a HUGE thanks to you and your team. The staff were attentive, helpful and generally did an all round amazing job! Our event was brilliant and all ran seamlessly! The comments relating to your establishment were fantastic, we will definitely be using Glaziers Hall again"
Take a look at some before and after images from a recent roadshow at Glaziers Hall for a telecomms client. All our spaces are pillar free, allowing custom set builds from LED walls to catwalks!